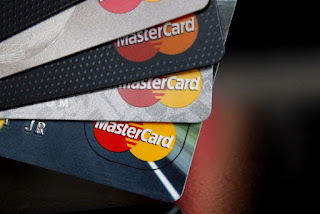 Mastercard has completed the acquisition of mobile payments technology company, Oltio from Standard Bank Group, reports ITRealms. The acquisition, ITRealms gathered, builds on Mastercard’s longstanding relationship with Oltio, a startup that pioneered and patented several mobile payments and banking solutions, including an authentication technology. ITRealms reports that today, that technology enables consumers to authenticate Masterpass digital wallet purchases in South Africa using their bank PIN and mobile phone. Over the coming months, Mastercard will leverage Oltio’s technology, people and infrastructure to enhance and scale its existing suite of digital solutions for merchants and issuers in cash-orientated, emerging markets - in turn, enabling them to deliver more seamless payment experiences to the consumer. “We have had a great relationship with Mastercard over the years, and believe that Oltio will thrive as part of an issuer-independent payments company with Mastercard’s vast global resources and innovative technology,” says Andrew Wilmot, executive, Group Card and Emerging Payments for Standard Bank.